I personally love the new Royal Prince's first name as it happens to be the first name of my Dad. He has a pretty Royaltastic name himself being George William Charles - all 3 names in line to the throne (my nan could have made a mint in the bookies if she'd made that prediction in 1951!). Having a baby requires months of planning, from buying new clothes, choosing the nursery furniture and not least of all, choosing a name. Check out this infographic charting the most popular boys' and girls' names in England and Wales, compared to the most popular Windsor family names. This is an advertorial post. 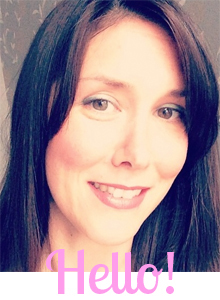 I'm Sharon and I blog about all things lifestyle and parenting. I'm a full time working mum to two children, Isla and Noah and I mostly get through each day fuelled by tea and chocolate! For Bump Watch, click here!